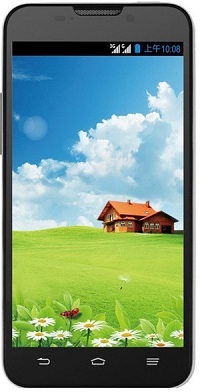 The�ZTE Grand X Quad�is an inexpensive and powerful smartphone based on the Google's Android OS. It has a stylish appearance with a 5-inch TFT Capacitive touchscreen featuring 720 x 1280 pixels resolution and 294ppi pixel density with a fantastic multi-touch support. This large display enables users to enjoy a fabulous experience. The device runs on a Quad-core 1.2GHz processor with 1GB of RAM in order to deliver a fantastic web browsing and seamless multi-tasking experience on the go. It comes with Android v4.1 Jelly Bean operating system with a slew of built-in Google apps such as Gmail, Google Talk, Maps and Google Search. The Grand X Quad features an 8MP AF rear camera with LED flash, Geo-tagging, touch focus and video recording capability of [email protected] A 1MP front-facing camera facilitates video conferencing. It means you can easily capture precious moments as well as stay connected with your loved ones though video calling. Other significant specs of the ZTE Grand X Quad include - Wi-Fi 802.11 a/b/g/n, Wi-Fi hotspot, dual-band, DLNA, NFC, Bluetooth v4.0 with A2DP, microUSB v2.0, expandable memory up to 32GB with microSD card slot option, SNS integration, GPS with A-GPS support, HTML5 Browsing, active noise cancellation and a powerful Li-Ion 2500mAh battery. ZTE Grand X Quad is available at MobiCity with a complete 12 months warranty.